Great food coupled with great service — that’s an age-old combination by which you just can’t go wrong. At Bleachers Sports Bar and Grill, we strive to make every meal we serve special with top quality ingredients prepared by our expert cooks and served by our warm and personable servers. This pairing is made all the better by our comfortable, traditional environment, just the place where you’d like to kick up your heels and enjoy some drinks, sports, games, and the company of good people. 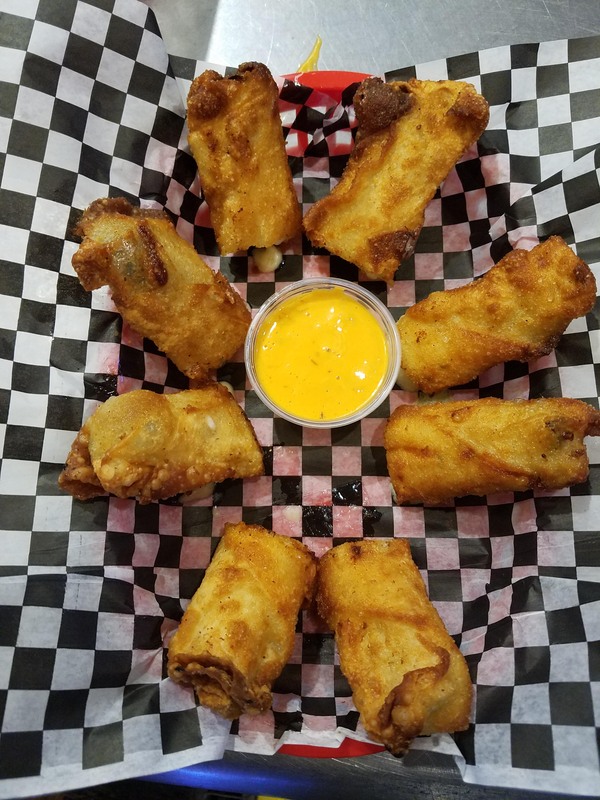 Pickle Spears wrapped in Pepper jack Cheese and an Egg Roll. Deep fried and served with our very own Boom Boom sauce. Half order available. Try these with the Boom Boom Sauce….you won’t regret it! 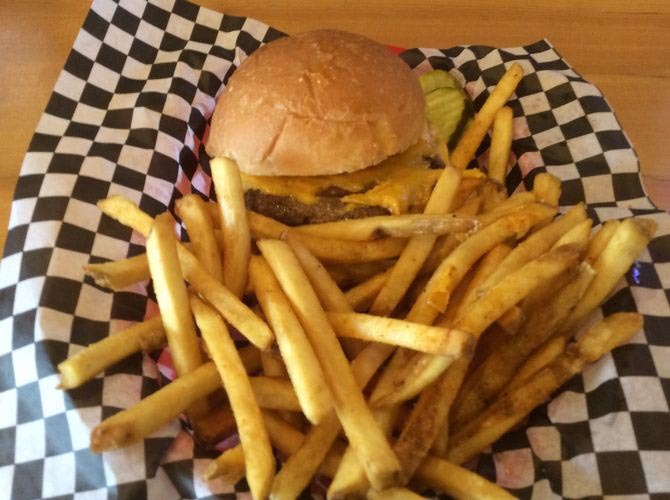 Our burgers are made daily from locally bought, never frozen, fresh hamburger. A Healthy Portion of Turkey, topped with Bacon, Swiss Cheese, Lettuce and Tomato. Add Guacamole for an additional price. Chili, Cheese, Jalapeno, Onions. Add Bacon for additional price. 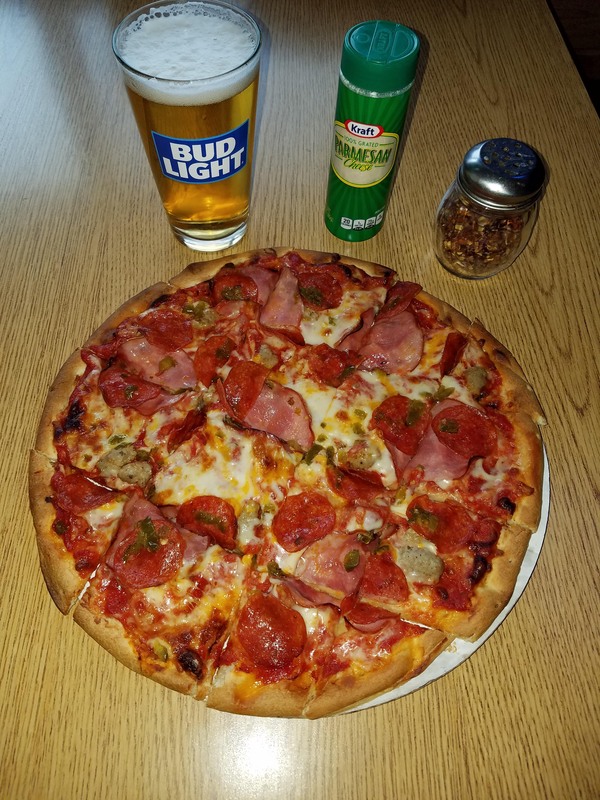 Additional Bacon, Mushrooms, Jalapenos, Tomatoes or Cheese available. We are proud of our menu, the ultimate compendium on classic American sports bar fare. Try any one of our appetizers, like our Tot Supreme — it’s what nachos would look like if they were invented in Minnesota, with crispy tater tots smothered in chili, jalapeños, onions, cheese, sour cream, guacamole, and lettuce. Our hot and crispy chicken wings, available boneless or traditional, are also delicious and come with a great selection of dipping sauces. Burgers are the star of the Bleachers show. We use only locally sourced beef and make every patty by hand to order, so you can be certain your burger is both Minnesotan and fresh. We’re so committed to keeping things local that even our buns come from a nearby baker. Try any of our special burgers available with a huge variety of toppings, or our new Olliburger if you’re looking for a real treat. You just can’t beat a perfect burger! 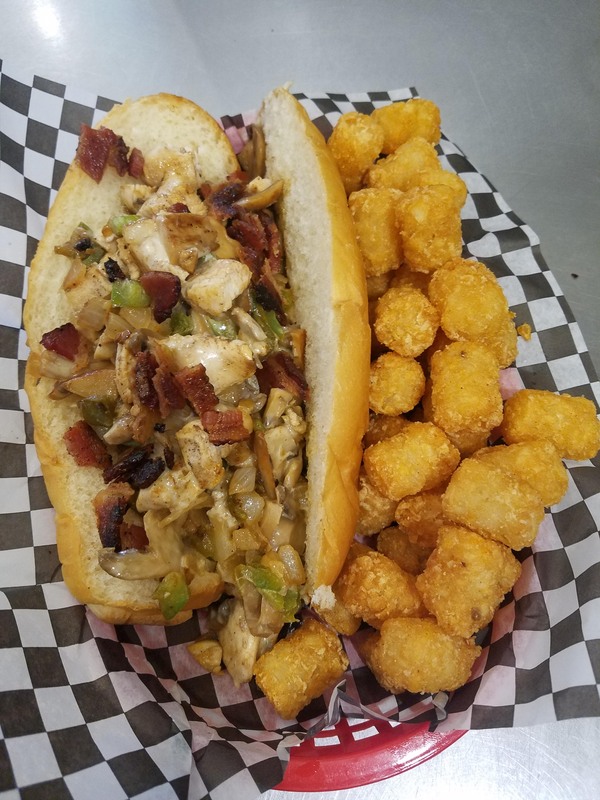 We also serve fantastic Philadelphia cheesesteaks, grinders and sandwiches, hot dogs, chicken, salads, and Great North Pizzas hot out of the oven. If any one dish pops into mind when you think of sports bar fare, you’re bound to love it at Bleachers!